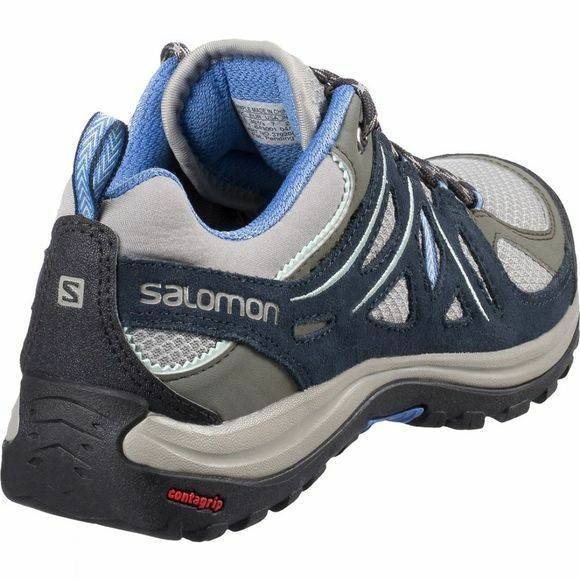 Lightweight and very breathable, the Salomon Womens Ellipse 2 Aero Shoe delivers a women's specific fit and style to everyday hiking. An asymmetrical Sensifit and heel support ensure precise fit for women's unique morphology, whilst women's design details ensure a modern, feminine look. The all-terrain grip is provided by ContagripÂ®, with varied, deep lugs providing traction on wet or dry surfaces. 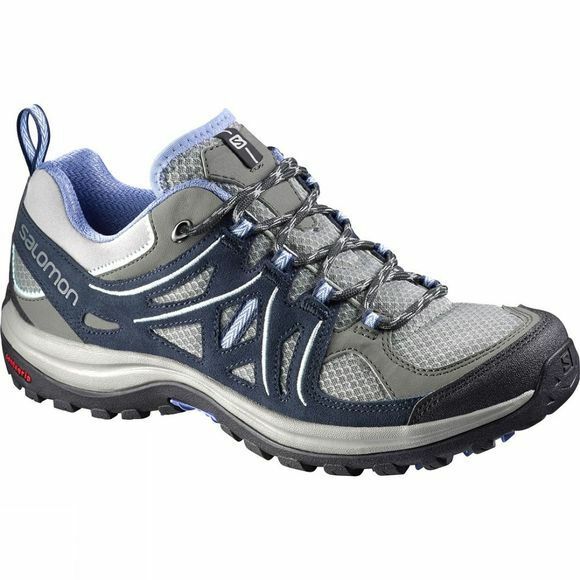 Open mesh and textile upper reduces weight and improves ventilation for warm weather hiking.